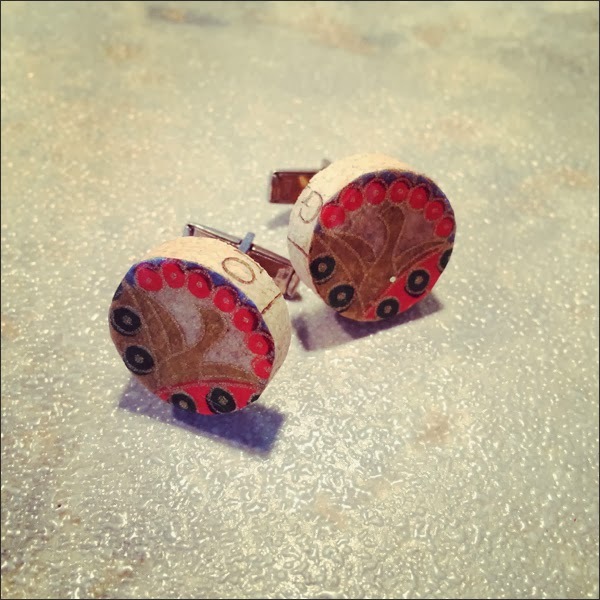 And we're back to upcycling wine corks! Go figure... I worked on a few ideas this week. 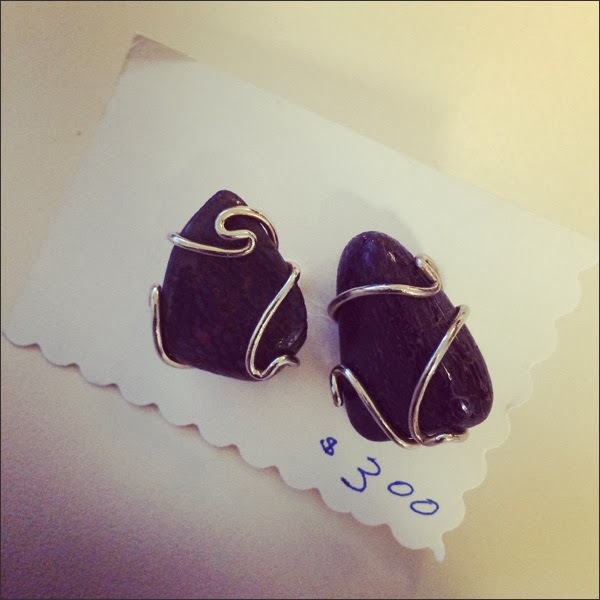 I bought these cufflinks from the Lions Gate Thrift Store for $3. I want to repurpose the top part into rings. 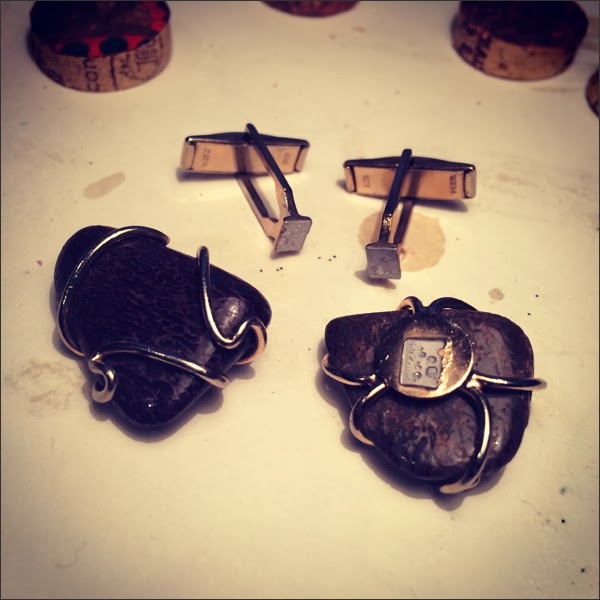 I decided to make wine cork cufflinks and reuse the metal part of the cufflinks. The cufflinks came apart easily! 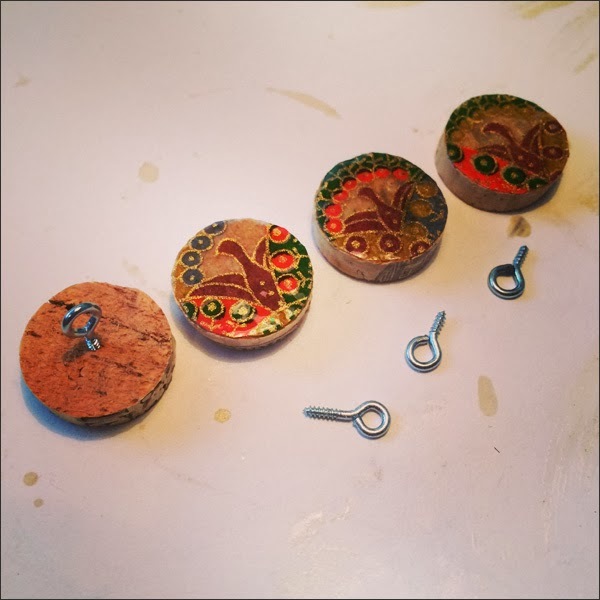 I used scrap paper and wood varnish for the wine cork rounds. 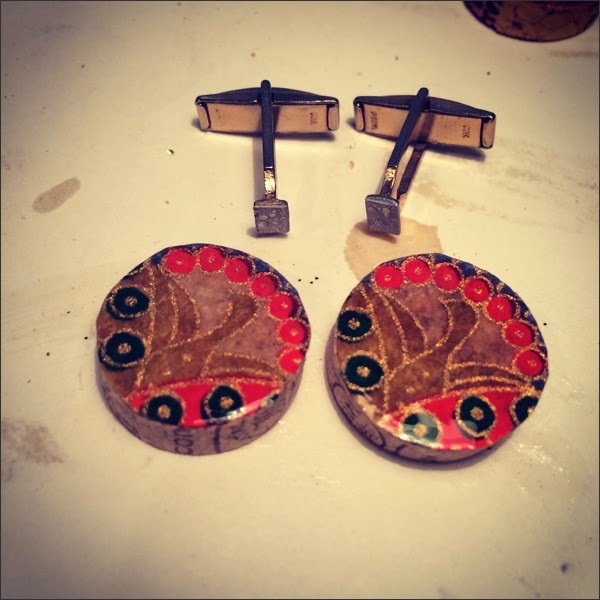 Next was gluing my cufflinks together. 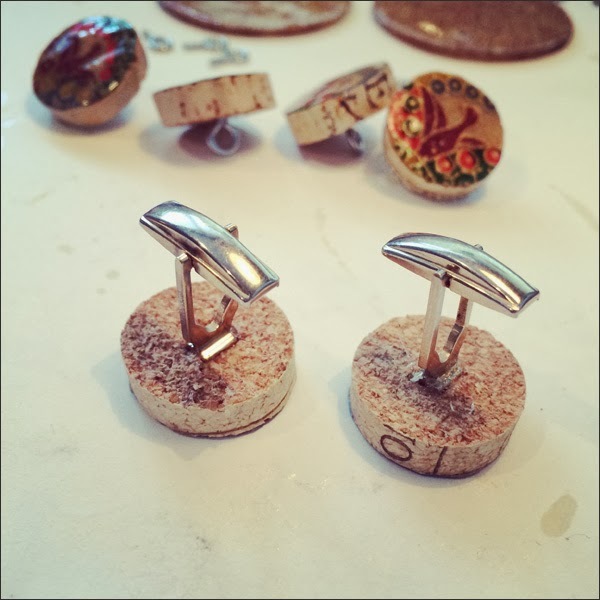 I indented the cork to help the cufflink sit in the cork. I then added Krazy Glue and hoped that would do the trick! 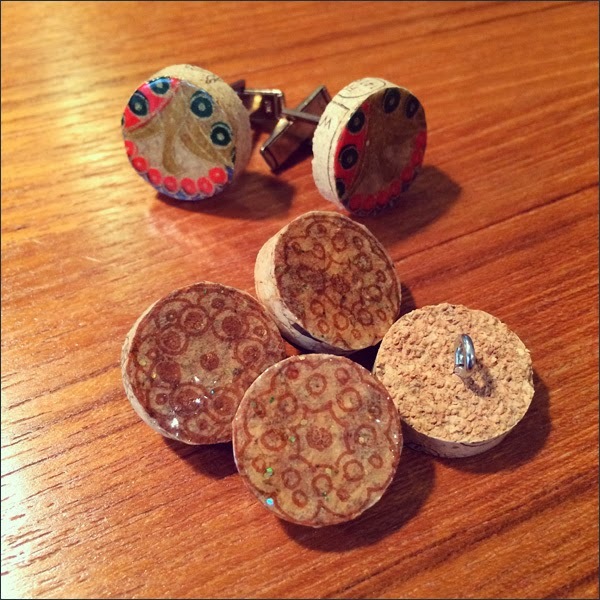 Here are the completed wine cork cufflinks. Easy peasy! But who wears cufflinks?! I have no idea but these are pretty darn nifty! 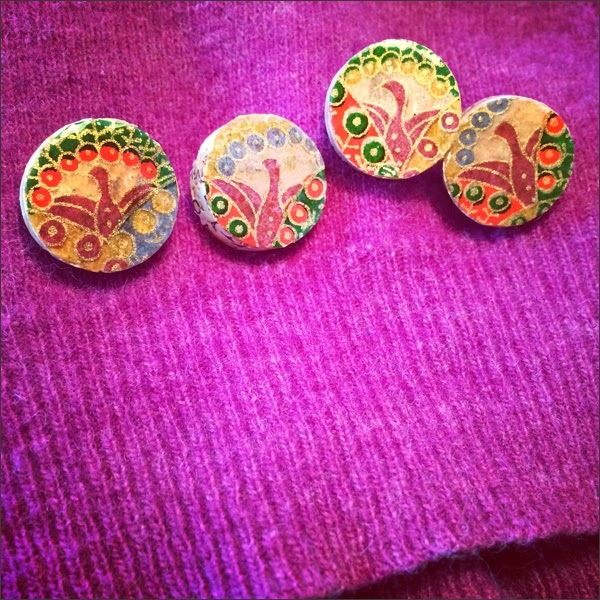 Next I made buttons. I decided to make a set of four for a project yet to be determined. I wasn't sure on what backing to use. I decided to use screw-in eyelets. 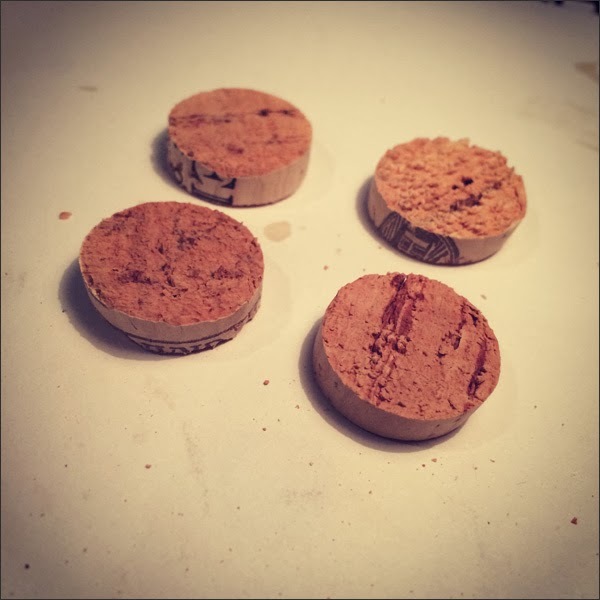 I screwed them into the back of my wine cork rounds. My buttons were ready to go! Now I needed to figure out a project for them. 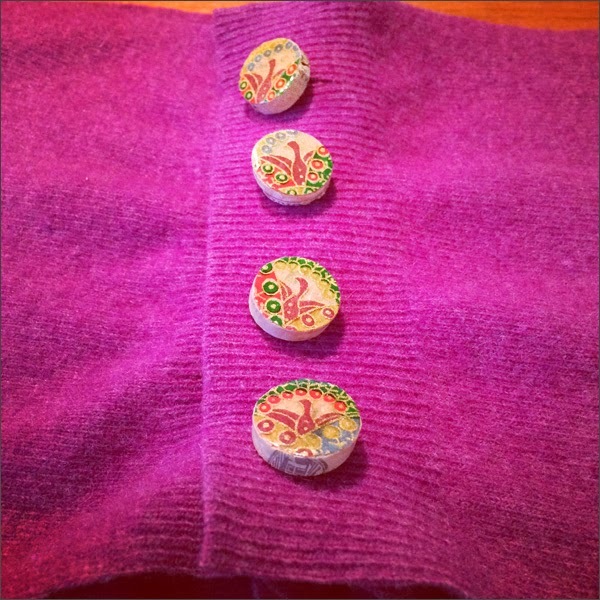 I decided to repurpose a wool sweater from the Lions Gate Thrift Store - this was my thrift store stash from earlier this week. 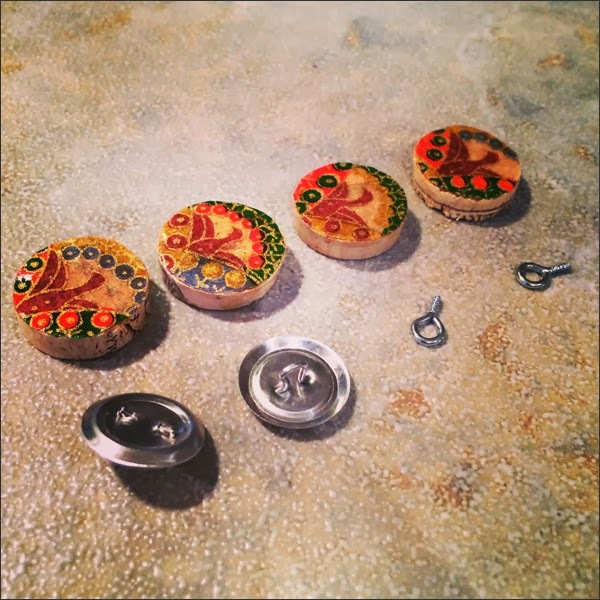 I'm loving my DIY buttons! They're super cute! And they look good with this wool sweater soon to be DIY scarf. 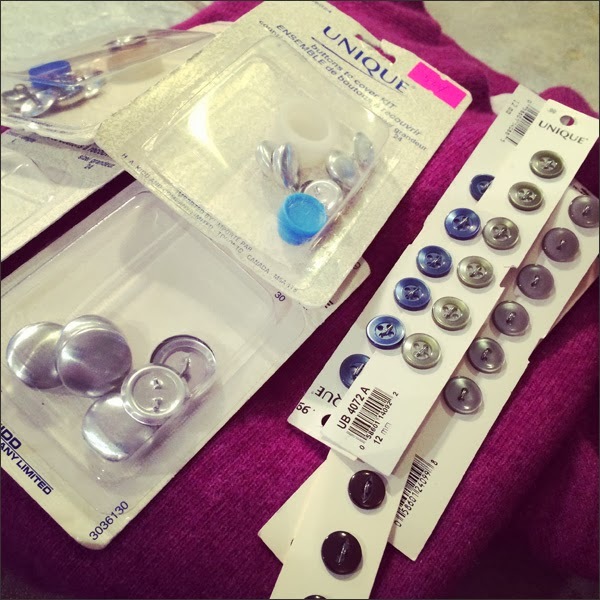 I stitched the buttons to the sweater and cut holes for the buttons. Here's my DIY scarf. 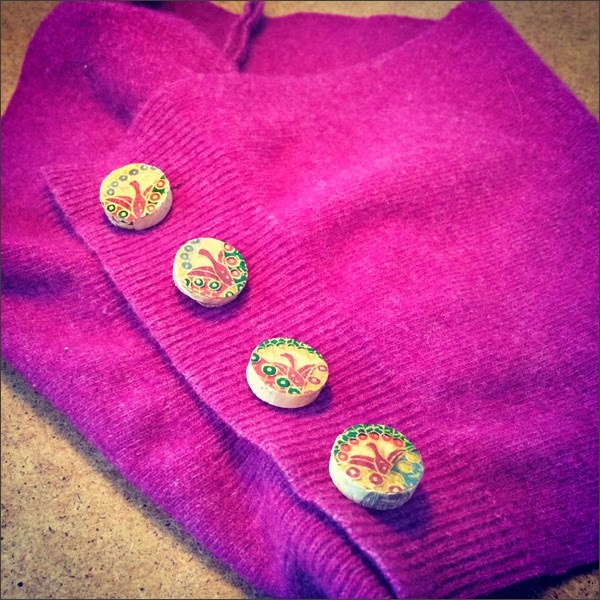 I sewed two pieces of the wool sweater together. I made sure to use the bottom of the sweater for the edges. It's a super quick project that I'm liking a lot. 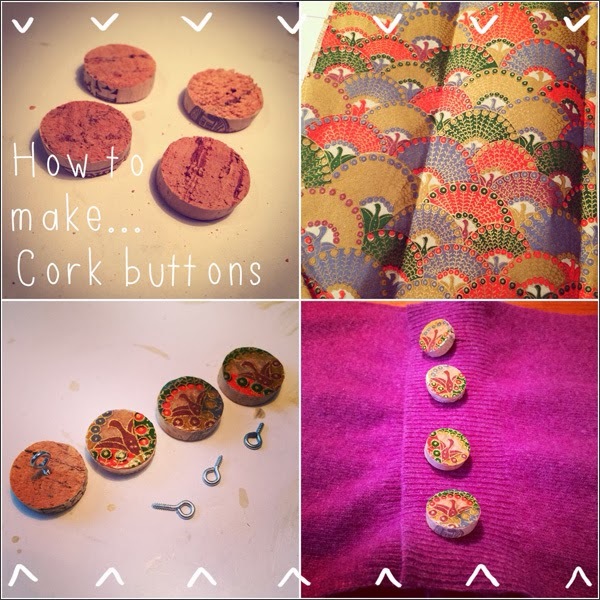 Wine cork buttons might be worth pursuing for other crafty adventures! And surprise, surprise... 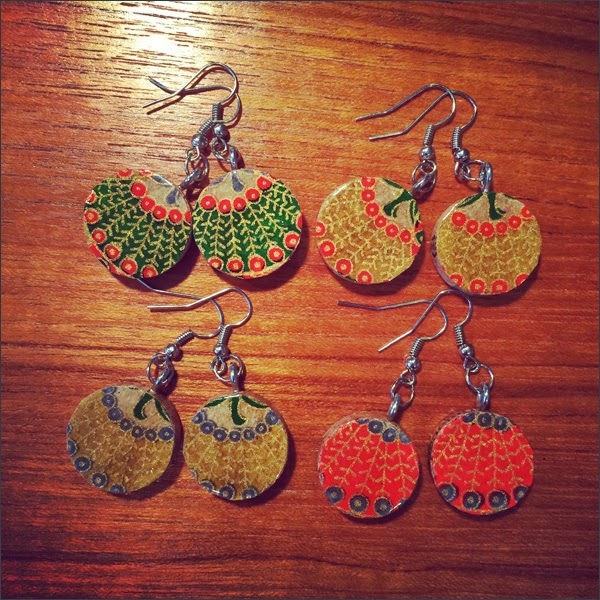 I made even more wine cork earrings. I can't seem to stop myself! Here's my how to via A Beautiful Mess. 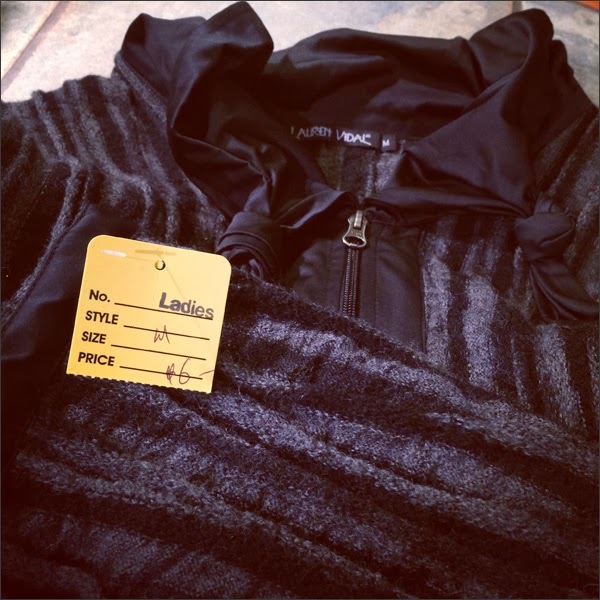 Here's another kewl thrift store score - a swanky wool sweater. I've felted it and want to make a funky scarf or a few scarves out of it. 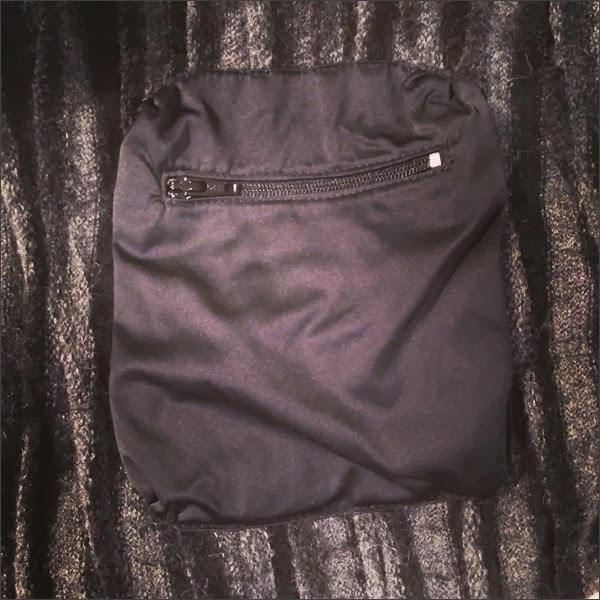 I also thought I could repurpose the pockets into changes purses. Could be neato! I also have a scheme in the works. I'm hoping to post some good news soon!